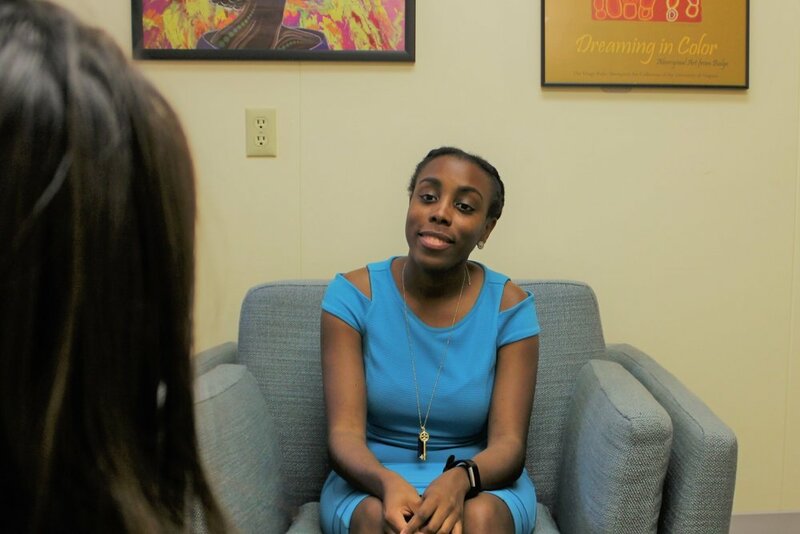 In honor of Minority Mental Health Month, join our Sister Circle Program for special healing and self-care offerings for women of color. Registration is required (except where noted). 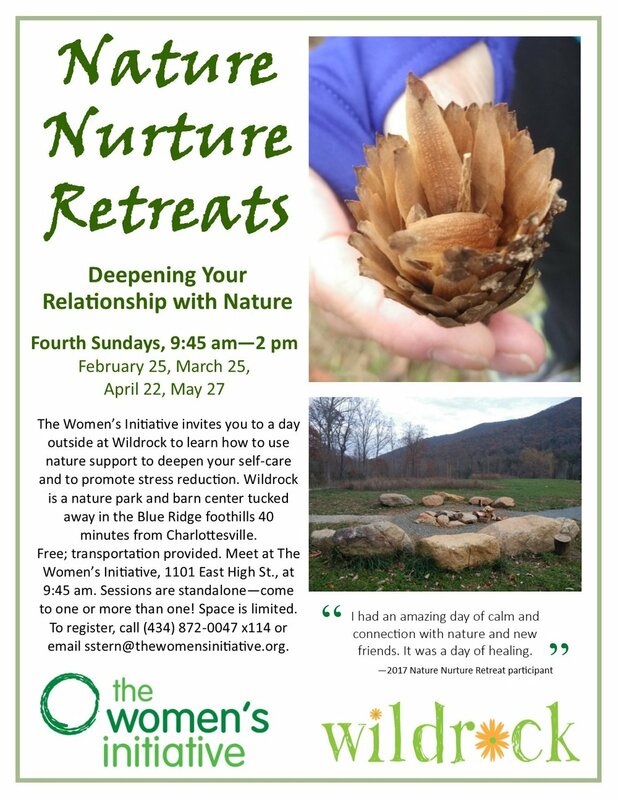 To register, call (434) 872-0047 x105 or email swood@thewomensinitiative.org. Stress Reduction Lunch Hours, Friday, July 13 and Friday, July 27, 12-1 p.m., Sentara Starr Hill Health Center at the Jefferson School. Free. Yoga for Women of Color, Sunday, July 15, 2-3:15 pm. Gather and practice yoga in a safe and nurturing setting. Class includes postures accessible to all levels as well as time for exploring ways to use breath and meditation for wellbeing. Women are invited to stay after class to connect with other participants, share yoga resources and build community. Each class is offered on a donation basis; no one will be turned away for inability to pay. No pre-registration is necessary. Spa Retreat, Saturday, July 21, 2-3:30 pm, The Women's Initiative Main Office. Facials and/or pedicures from a Mary Kay consultant. Massages by Common Ground Healing Arts. Free. Sound Bath with Shawna Bass, Monday, July 23, 12:30-2 pm., The Women's Initiative Main Office. Come be bathed in healing sound waves that will help to bring you to a deep meditative state. Sound baths can be one of the most deeply healing and restorative ways to attain a deep state of relaxation. Our body and minds respond positively to the sound vibrations and resonance allowing us to release of stress, healthily lower blood pressure as well as heal at a deep molecular and emotional level. Pay what you can; no one will be turned away for inability to pay. Visit our Sister Circle page to learn more. 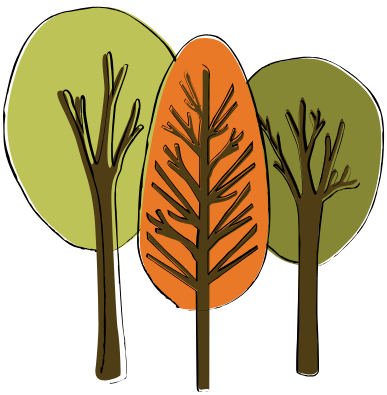 In our new Healing & Growth Group, participants will have an opportunity to express and process their feelings, concerns, ideas and reactions freely in a closed group setting. Our focus will be to promote deeper awareness in order to facilitate healing and growth. Facilitated by Joanna Ajex, MA. Call (434) 872-0047 or email info@thewomensinitiative.org to set up a pre-screening. To learn about our other groups, click here. CranioSacral Therapy with Amina Elizabeth Stevens is offered free during our Wednesday Walk-in Clinics at our main office. CranioSacral Therapy is a gentle form of bodywork that can help relieve pain and stress. The practitioner uses light touch on the head, along the spine, and on the sacrum to release compression. Many people experience deep relaxation and increased physical ease during and after a CranioSacral Therapy session. At The Women’s Initiative sessions are done laying down on a massage table while fully clothed. Sessions take place in our downstairs studio, 2-5 pm, Wednesdays. See the flyer for this free offering. 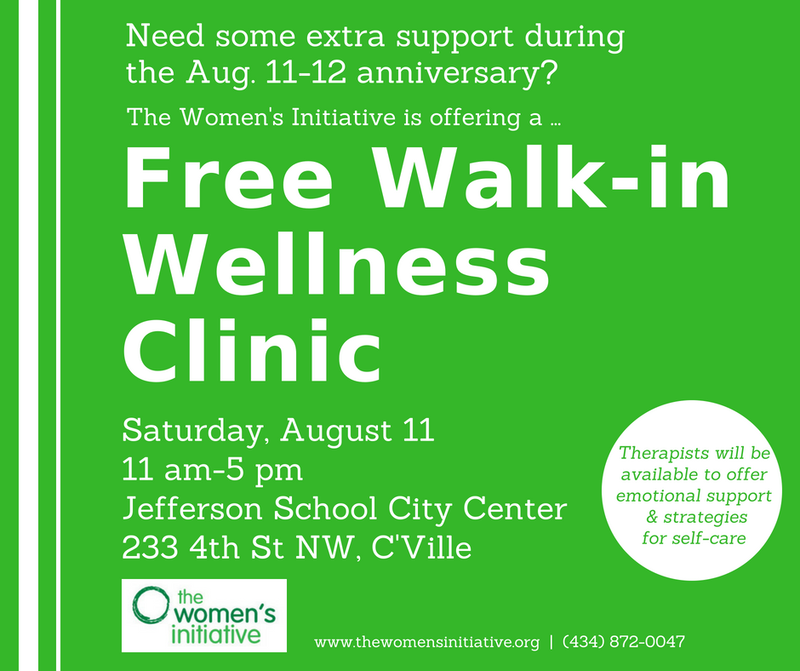 Learn more about all our free walk-in clinics. 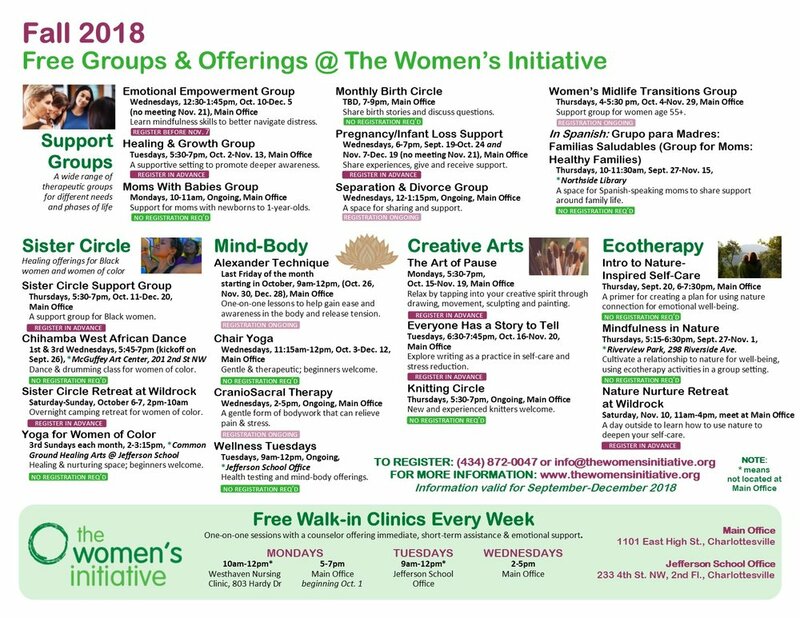 Free CranioSacral Therapy is a partnership between The Women's Initiative and Common Ground Healing Arts. 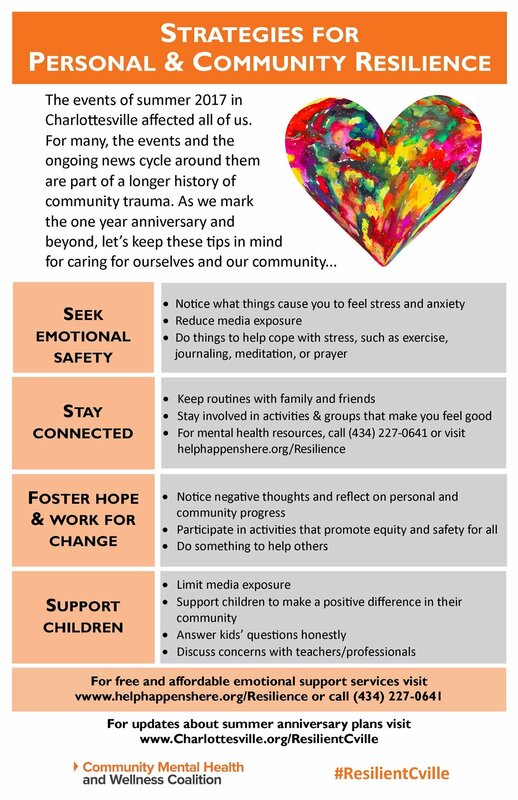 Nature support can help deepen your self-care and promote stress reduction. 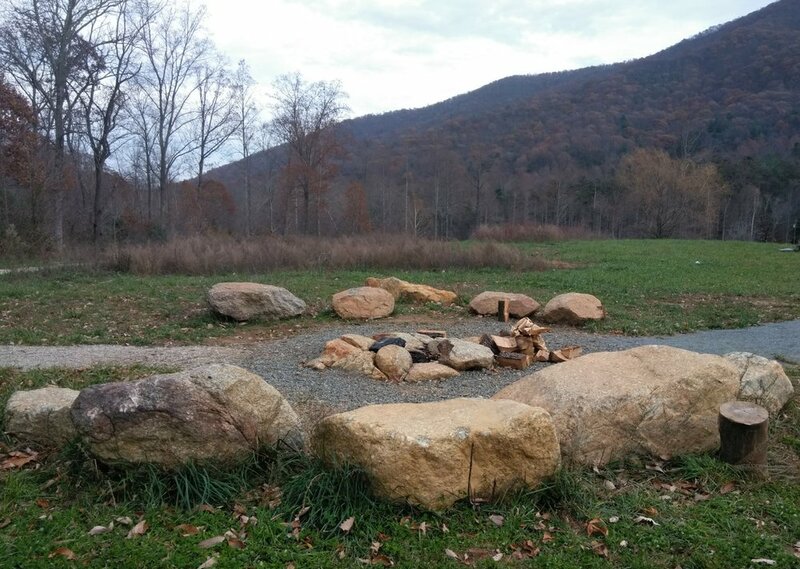 We're pleased to announce that we will once more be partnering with Wildrock to provide opportunities to heal in nature. 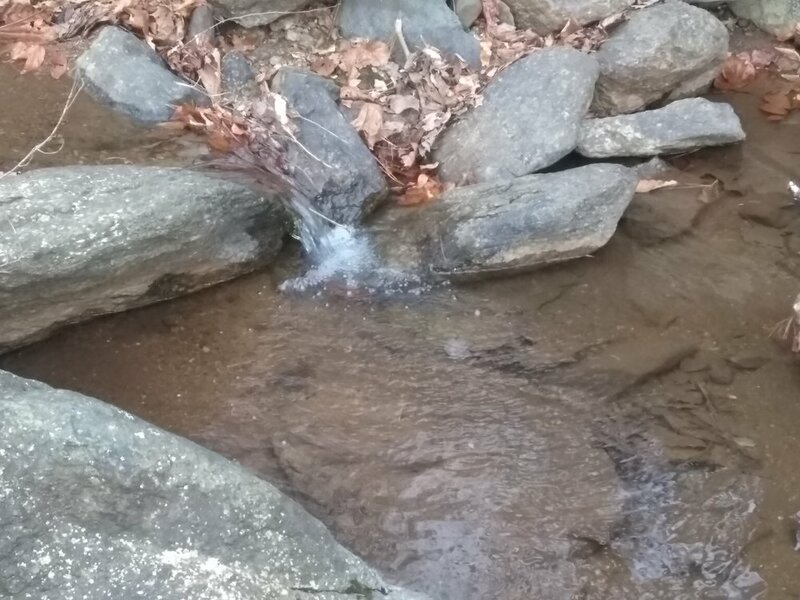 Wildrock is a nature park and barn center tucked away in the Blue Ridge foothills 40 minutes from Charlottesville. 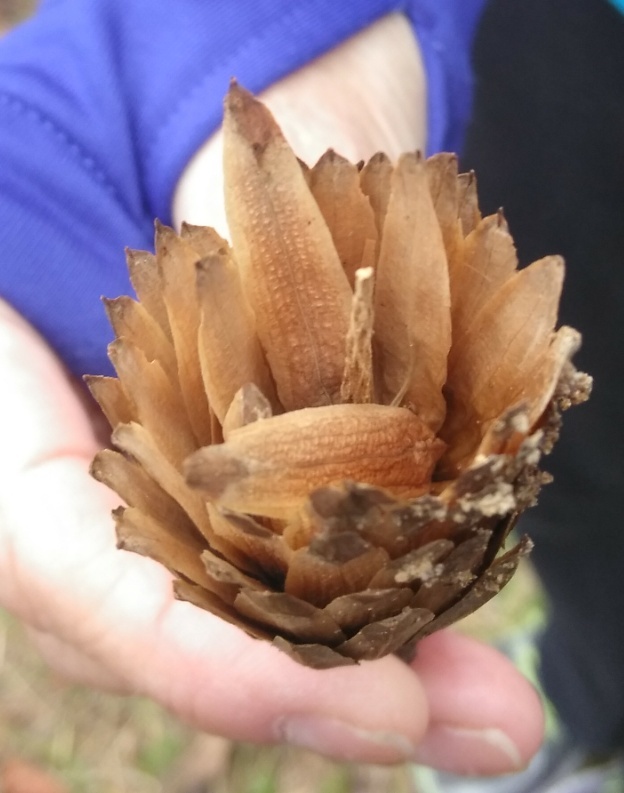 "I had an amazing day of calm and connection with nature and new friends," said one 2017 participant in the Nature Nurture Retreats. "It was a day of healing." 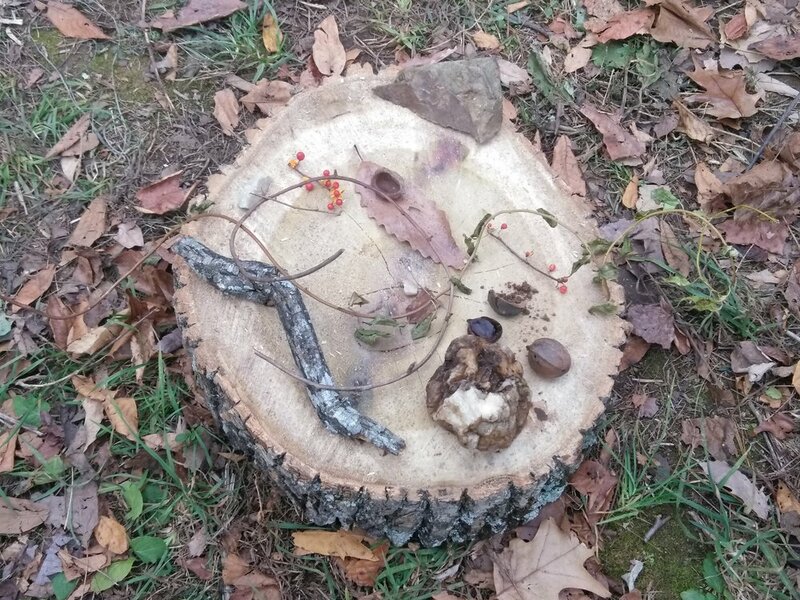 Nature Nurture Retreats are free, and transportation to Wildrock is provided. Meet at The Women’s Initiative, 1101 East High St., at 9:45 am. Sessions are standalone—come to one or more than one! Space is limited. 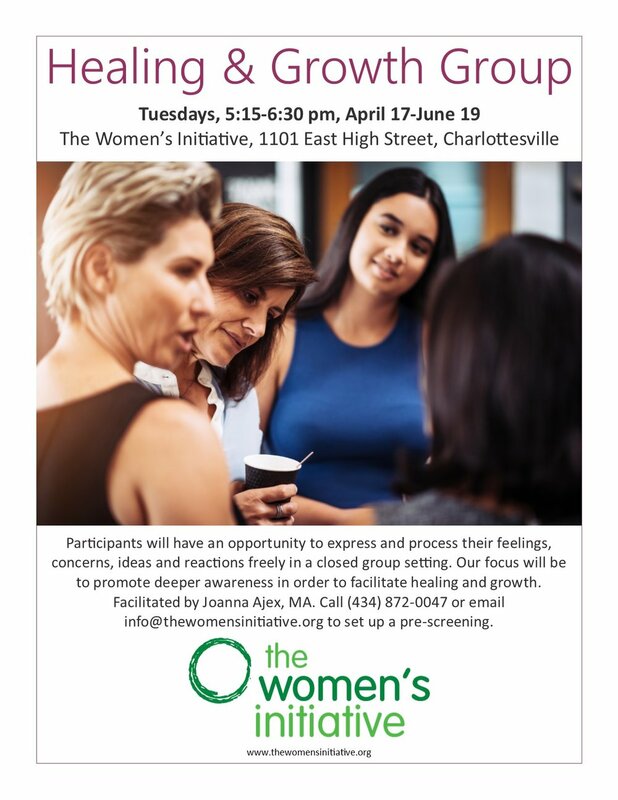 To register, call (434) 872-0047 x114 or email sstern@thewomensinitiative.org.